Long long, ago there lived a Millionaire in a village in the vicinity of Mt. Haruna. He had a beautiful daughter and he loved her more than anything else. One day in summer, the daughter went for a walk toward Lake Haruna with a few maids. he shape of one of the craters is so beautiful that people call it Haruna-Fuji (1391m). 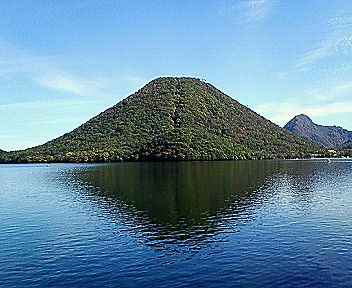 Lake Haruna is its caldera lake. These days it’s a good fishing spot, especially in winter when the surface of the lake freezes over, so people can enjoy fishing for wakasagis or pond smelts on the ice field. On the way the daughter and the maids enjoyed seeing the beautiful mountain covered with green leaves. They also noticed a variety of wild flowers blooming. They heard cicadas chirping on the trees. It was such nice weather that one of the maids suggested riding a boat. They all rode out in a boat. The maids rowed out while the daughter sat still in the center of the boat. They were happily looking around at the lake and the surface of the water. They kept boat riding merrily until black clouds quickly spread over the sky. The peaceful scenery suddenly changed into a dreadful one. It started raining, soon it was pouring down. The strong wind blew and the waves grew higher. The boat started pitching and rolling about. They rowed with all their might, but the boat didn’t move smoothly. It was tossed about by huge waves. Then the daughter was suddenly swallowed up by a wave. It only took a moment for her to disappear into the water. After a while the storm calmed down and disappeared, and the sky began to clear up again. The boat reached the lakeshore safely. But alas! The daughter wasn’t on it. The sad news soon reached the millionaire’s ears. The poor father asked villagers to look for his dearest daughter. In spite of searching desperately in and around the lake, no one could find her body or clothes. The rumor spread from one villager to another. Her parents grieved for their daughter’s death day and night. Seeing the parents’ deep sorrow, the maids, who took a ride on the boat together, felt guilty. So they threw themselves into the lake one after another. The consequent event made the millionaire feel much sadder. Villagers felt pity and wanted to hold their funerals. But they couldn’t find those women’s bodies either. It sounds strange but it is said that they changed themselves into crabs and kept searching for the master’s daughter. 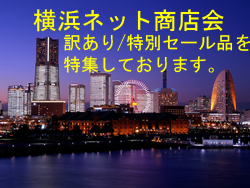 People noticed that the dirty water gradually became clean as the crabs ate up the garbage, dead fish and leaves. The lake became clearer and purer day by day. People believed that the crabs had done it in order to look for the daughter. If you have any chance to visit Lake Haruna, you’ll be amazed at how clear and clean the water is. When picking up some stones from the water, I’m sure you’ll find some crabs there, and you can see them moving as if they were still looking for the missing beautiful girl.